Sometimes you stumble across a portfolio where the artist only has a couple of comic based pieces, other times there can be just one work so brilliant, you'd risk being stoned to death by fellow art lovers for putting something else beside it. These are Random Works of Wow, and illustrating the point this week is Luciano Fleitas with a R.W.O.W. first: two pieces that form perfect book-ends. 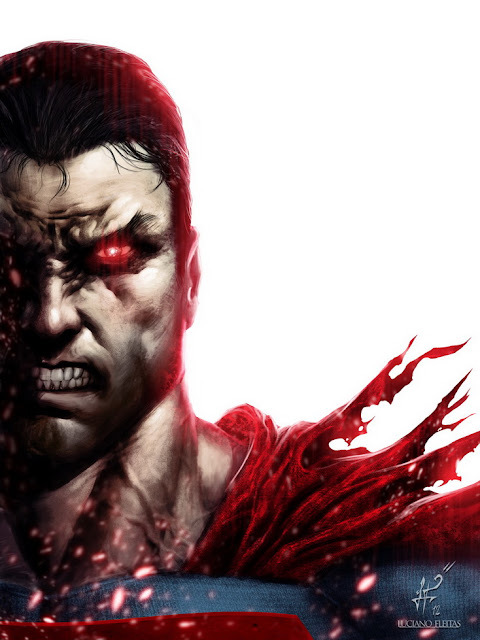 One Superman, one Doomsday - and God help those inbetween. Now tell me he isn't a threat for Superman! Boy, you miss 90's comics the longer they appear in the rear view mirror don't you? What do you think? Sound off below or to view more Random Works of Wow click here. For other awesome pieces by Luciano, including Spider-Man and those X-folk, click the jump. That looks like straight-up pro work, that's about to grace a TPB or some collected edition of some Superman/Doomsday stories. If you didn't mention it wasn't an already solicited piece, I'd be inclined to think it was. I agree Dale! 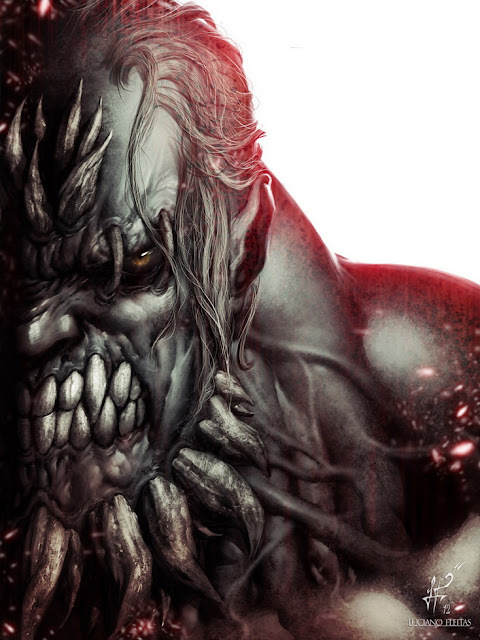 I'm actually using Doomsday as my mobile wallpaper right now. Leave sunsets and puppies for the phones of other folks I say!